The World Has Been Waiting For The Hottest Release Of The Decade. What is fresh PASSION ® - Get A Brand Or Die A Generic? Unemployed? Underemployed? Broke? Want More Success? Visit the Fresh Store Today! Want More Personal, Professional and Economic Success? Brown outlines both the Fresh PASSION method and how he applied it in this particular situation with easy-to-follow detail, personal assessments and an interactive action guide that will lead to you developing, enhancing and positioning your personal brand for exponential personal, professional and economic success. You will discover how longtime employees left behind their “generic” ways of thinking and conducting business to create an entire experience they could present to employers, bosses, clients, and co-workers that left them begging for their services and produced double-digit top- and bottom-line results for the company and their clients. This process positioned them as sought-after brands in the organization and lead to them earning record financial compensation, consistent recognition and promotions. With Fresh PASSION, they avoided the pitfalls of a generic career and instead obtained the benefits and leadership credentials that come from being a branded entity. 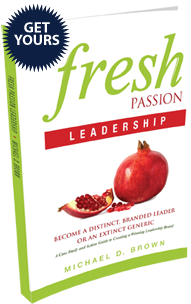 Experience the fresh passion book and the leadership manual today! Who has Experienced Fresh Results? Michael D. Brown is a sought-after speaker, management expert, and author of Fresh Customer Service®: Treat the Employee as #1 and the Customer as #2 and You Will Get Customers for Life. He has over fifteen years of experience helping companies and individuals achieve results and has held numerous leadership positions at Fortune Global 100 Companies. Michael is a leading authority on delivering fresh results. His expertise in revamping how companies provide world-class customer service and establish a market-leading brand has led him to assisting individuals in creating personal brands that allow them to achieve otherwise unattainable levels of personal and professional success. He is recognized for this best-in-class coaching strategy that yields consistent results and helping companies deliver double-digit growth to the top and bottom line. How did you hear about The Michael D. Brown Company, Inc.
What's your investment/budget for a speaker/coach/trainer for your meeting, event or engagement? Fresh means doing something every day to enhance your brand, keep your skills sharp, and package yourself for success. Preparing yourself: continuing your education through classes, professional development, and maintaining an active intellectual interest and knowledge capital in your career and life. Aspiring to reach your goals: having particular ambitions and then setting out to achieve your goals – aim at nothing and you are guaranteed to hit it! Staying laser-focused: intently focusing on each area of Fresh PASSION®, otherwise you’ll miss the mark and not deliver your brand. Invigorating yourself: having the tenacity and discipline to go the distance and secure your personal and professional success – fan the flame within and catch on fire! Omitting the negative: learning from the inevitable negative experiences you will encounter without dwelling on them or letting them consume the valuable real estate in your head – you have so much more ahead of you! Nailing the brand: successfully packaging your substance (your core) up and putting a bow on it so that you become a fresh brand that can successfully compete and WIN internally and externally, which will enable you to achieve exponential personal and professional success Keeping it ‘Fresh’: you need to do it all with a complete new and dazzling approach. By accentuating their natural skills and strengths, leaders can stand out and put themselves on the fast track for senior-level leadership roles that will enable them to achieve all of their hopes, goals, and dreams. The alternative is to become a “generic” leader, a basic manager who does not stand out in any way. In today’s fast-paced and ultracompetitive economy, generic leaders are rapidly on their way to becoming extinct — “average” is the new unemployed and good is the new average. By following the principles of Fresh PASSION, a methodology I created of developing a personal brand that leads to exponential personal, professional, and economic success, you can learn how to become great, and therefore put yourself in a position to obtain a senior leadership position that will deliver maximum personal, professional, and economic success. We have all been weathering an “economic tsunami” for the past several years, and although it appears the worst part of the storm is behind us, the seas have hardly calmed. The unemployment rate hovers around 8 percent for unemployment and around 18 percent for underemployed. Companies and organizations are still in pain (they want to deliver exponential growth to the top and bottom line) but they are only willing to invest in a fresh and proven branded product (YOU) with a track record of delivering results- if you are not in this category you will not be the sought after solution provider. "Make the customer number one." Customer service experts have been chanting variations of this mantra since one caveman paid another caveman three clamshells for the skin of a sabertooth tiger. Okay, as far as we know cavemen didn’t chant mantras, but you get my point. The vast majority of customer service strategies use the idea of making your customer your top priority as their cornerstone. Whether it's Starbucks, Nike or the Java Hut at the corner, just about every company has its own specialized brand these days. The way Michael D. Brown sees it, it's time you had your own as well. The author believes the "power of the brand" -- in this case your own personal brand -- can help you land that dream job, win a coveted promotion, or move from a dead-end job to one of fulfillment. I was excited to see the book "Fresh Passion: Get a Brand or Die a Generic" arrive in the mail early this month. This is the new business branding book by Michael D. Brown, a sought-after speaker, management expert and author. His ideas and teachings on fresh results already helped a lot of people and entrepreneurs achieve both personal and professional success. The book consists of 10 chapters, with each chapter opening up with a fresh quote. In this book, Brown shared real life stories (referred to as "Brownie Points") to serve as parables that help humanize the theories and concepts behind the book. Now this is not the type of passion you are thinking about ... When I was first asked to review this book, I did look on Amazon and I started to get very excited because Fresh Passion: Get a Brand or Die a Generic is just want any blogger is looking for, or business owner, or person who wants to start their own business, or a person who just wants confidence because this book has something for everyone! Fresh Passion is wonderful and a great addition to any brand owner’s collection! I truly did enjoy this book. I felt it gave a fresh perspective on how to market your brand and yourself in this economy and in this day in age. This book went over all the things needed so that you could run your brand using technology, social media, blogging, etc and I believe that is a very effective way to think. We hear a lot about personal branding these days but in Fresh Passion, Michael D. Brown takes the sometimes vague concept and breaks it into a series of easily digestible action items. The subtitle of the book is “get a brand or die a generic” and Brown believes that having a brand is important to executives as well as entrepreneurs. A valuable book for this economy! Wow, finally an easy to follow process on how to become a successful personal brand. I truly believe that in order to be successful in this competitive economy you have to be a brand-been generic is a recipe to going nowhere and having a lackluster career. I preached this to my team of twelve leaders for the last three years. The universal question/comment they would always have is "How do I go from be a generic to a brand- you make it seem so simple?" I would attempt to explain my process-but I felt there was something missing. A study conducted earlier this year by Right Management, a subsidiary of the staffing firm Manpower Group, found that 21 percent of those polled were “somewhat unsatisfied” with their job and 44 percent said they were “unsatisfied” — that’s a lot of people unhappy at work. Michael D Brown, author of the forthcoming book “Fresh PASSION: Get a Brand or Die a Generic” (January 2013) is an established management expert and career consultant, has helped hundreds of individuals, leaders, managers, entrepreneurs, military personnel managers and college students transition into careers that they like getting up for every day — all by delving into the process of making their own fresh, competitive and powerful personal brands. Michael’s Fresh PASSION methodology helps professionals raise their profile and maximize their career possibilities. Whether you’re a recent graduate, a manager or even an executive, his process delivers RESULTS. Michael D. Brown is a man on mission. A mission to help people to live richer, fuller lives. His new book, Fresh PASSION, is a must read for anyone looking for a step-by-step method for reaching and exceeding personal and professional goals. — Willie Jolley- Best Selling Author of "A Setback Is A Setup For A Comeback" & "An Attitude of Excellence!" These clients have experienced the Fresh Difference. Inroads Trinet Techcess Group J&S Audio Visual, Inc. Opportunity Houston KRM Information, Inc. KRM Information, Inc.
Michael D Brown is a premier leadership speaker specializing in leadership coaching and professional development training. His new book "fresh PASSION: Get A Brand Or Die A Generic" will teach you how to effectively build a personal brand. Below are valuable branding and leadership strategies from Michael's blog. Tuesday’s thought - Got 10 seconds? Feed your mind this nutritious thought and experience the exponential growth. Is Your Brand Shut Down For Business? - A winning brand is based on projecting an image of confidence, competence and authority in your area of branded expertise. 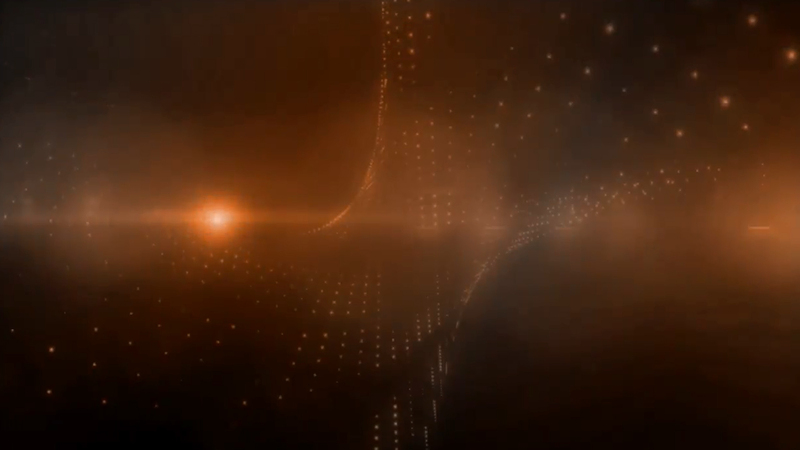 Tuesday Thought (11/05/13) - Got 10 seconds? Feed your mind this nutritious thought and experience the exponential growth. Protect Your Brand from Ghouls and Goblins of Negative Publicity (Part 2) - Following is a test to help determine whether your door (so to speak) is wide open to securing your brand, partially open, or slammed shut. Protect Your Brand from Ghouls and Goblins of Negative Publicity (Part 1) - Think of your brand as your home. Even if you were able to bring your “dream home” to fruition and lived in the palace you had imagined all your life, you would hardly leave the windows open when nobody was home or make it obvious you had left for a two-week vacation. Prepare Yourself for Competitive Success: Magic and Michael Knew What It Takes to Be a True Champion: Be Prepared! - If you doubt the value of preparation, or perhaps feel you are already so good at what you do that you can slack off a bit when it comes to preparing, a brief look at the careers of pro basketball legends Earvin “Magic” Johnson and Michael Jordan will be instructive. PowerTalk: Fresh Passion – “Get A Brand or Die A Generic”! - PowerTalk brings key players at public and private companies as well as subject matter experts to talk with PowerTrend Profits editor Chris Versace about key issues of the day facing industries, companies and consumers. Gateway Regional Chamber of Commerce: End Unemployment Or Underemployment By Becoming A Distinct Brand - There are great opportunities for unemployed and underemployed individuals to improve their personal, professional and economic situation by mastering the formula 4Ps + 3Ws + 1FP and standing out. In Business: Leading Through the Economic Tsunami Without Drowning - By accentuating their natural skills and strengths, leaders can stand out and put themselves on the fast track for senior-level leadership roles that will enable them to achieve all of their hopes, goals, and dreams. Fresh Thoughts for Success Minded People - It's important that you own the diet of your mind. Been careful with what you feed it, what you allow others to feed it and what you will allow to enter. Focused or Foggy- Your Choice - Have you locked in on your aspiration with a laser focus? Take the Heart Check to find out just how much intensity your focus really contains. Write an “Aspirational Love Letter” to Yourself – It’s OK- Go Ahead - Go into detail if necessary—describe exactly what you would like to do with your career and your personal life. Not Knowing Means Not Wanting - Are you satisfied that you have truly identified your aspiration and taken the necessary steps to make it a reality? Take your pulse and see how far you’ve really come. Lack of Preparation is the Main Ingredient for Lackluster Success - Have you taken the necessary preparations in your personal and professional life to establish a brand that will guarantee your success? It's time for a heart check on your preparedness level. The Most Important Text You Will Ever Send In This “New Economy” - Why would anyone want to hire or invest in my personal brand? Write it like you would an actual text message—something you can read in 20 seconds or less. Do you have pay phone skills for a smart phone world? - You don’t want to have pay phone skills in a smart phone world. Let’s take your pulse and measure the health of your freshness efforts. The Makings of Success: 8 Hallmarks of Successful People - Regardless of the hand you are dealt, you can rise above and succeed to any level you desire with the right mix of dedication, hard work, and support. Get Out of Debt: Steps to Take to Live Debt-Free - In order to remain adequately focused on the things that matter most in life, you need to eliminate the distraction and stress caused by unnecessary debt and spending. Job-hopping: The Antithesis of Fresh PASSION - Usually, you will not job-hop into something that is along a very clearly defined path and that aligns with your aspirations and personal brand. Hold Yourself Accountable: Self-accountability Tools to Keep You Focused and on Track - Below are some ideas for holding yourself accountable when you miss the mark and for rewarding yourself when you reach achievement markers. Be the Bullhorn: How to Make Sure Your Hard Work Is Recognized - Keep a file of your accomplishments so that you can present them during performance reviews or interviews for promotions; you won’t remember every detail, so write it down. Georgia Public Broadcasting: Brand Yourself - When you are a "generic" individual, there is only so far you can go in a given job, and it's only a matter of time before you're replaced. North Dallas Gazette: Ending Unemployment and Underemployment (Part 2) - Prepare yourself for a new/better job through professional development (continued education, research, networking, and so forth). New England Informer: Ending Unemployment and Underemployment = 4P’s + 3W + 1FP - Failing to master this formula will render you generic and receiving anemic to no attention, opportunities or investment. Branding 101: How to Develop a Logo - Like any established and recognizable brand, you will want to create a meaningful logo that serves as the visual identifier of your personal brand. The Winning Formula To End Unemployment and Underemployment - Companies and organizations are still in pain (they want to deliver exponential growth to the top and bottom line), but they are only willing to invest in a fresh and proven branded product (YOU) with a track record of delivering results. Step Back and Recharge: Ideas to Keep Your Spirit Fresh - If you become successful, and there is no reason you won’t if you follow the Fresh PASSION methodology , you are going to be a very, very busy person. 5 Tips For Building A Solid Professional Network - Even though building a network may seem like an enormous challenge, networking has become easier in the age of social media. The Path to Radiating Freshness to the World Around You - Are you keeping your mind sharp and focused throughout your daily activities? Are you constantly engaging with colleagues, bosses, friends, and strangers? IT Business Edge :The Winning Formula You Need For a New Job - It is when you develop this brand that you will be able to deliver the experience that people are willing to invest the time and money it takes to recruit, hire, promote, train, and pay an employee in a high-skill, high-wage job. The Power of the Post-it: A Simple Step to Reaching Your Aspirations - One simple way to remind yourself of where you want to arrive is to give yourself a visual reminder that you will see everywhere you go. The New To-Do List: Create a Focus List and Achieve More - If you want to move beyond checking off tasks and duties and get into reaching goals and accomplishing your dreams, you should try working with a daily focus list instead. Getting—and Nailing—Your Next Big Job Interview - Follow up early and regularly, but not in an annoying way; you want to keep your name in the hiring manager’s mind and make it clear that you are interested. Meaningful Job Hunting: Finding the Right Job for Your Long-term Goals - If you are currently unemployed, you are in a more vulnerable position, and it will be even more difficult to stay the course toward your long-term goals. Branding Superstar University: How To BuIld Your Own Personal Brand - Successfully packaging your substance (your core) up and putting a bow on it so that you become a fresh brand that can successfully compete and WIN will enable you to achieve exponential success. Self-confidence: The Power to Make or Break Your Personal Brand - Self-confidence makes it easier to establish credibility in professional settings, which can make negotiations, new business generation, and problem solving easier. 5 Fresh Steps: A Daily Routine to Keep Your Brand Current - To start, look for a model in your industry that you can use as a springboard for creating your 5 Fresh Steps. Staying Fresh: The Key to a Killer Personal Brand - Make yourself available to other departments, look for classes or seminars that will teach you new skills applicable to your current job and the one you want to grow into next. Aspiration: Define It and Find It - Aspiration, as defined in my book Fresh PASSION , is really a two-part entity: it is something that must be found and then realized. Law of Attraction and Your Personal Brand - If you develop a dynamic personal brand, however, you differentiate yourself from your competitors and become a force to be reckoned with. Your Perfect Day: Finding and Living It through Fresh PASSION - Imagine how your typical day would proceed if you were able to realize every major personal and professional goal you hold and had full control over every aspect of your life. Dealing with Negative People: Positive Lessons to Learn - You can choose where you want to work, what you want to do with your life, and how you want to get there, but you cannot choose who you will be working alongside once you get there. Branding Board of Advisors: Getting Input and Support from People You Trust - You will call on this group to advise you, guide you, be frank and honest with you, and lift you up when things get difficult. Building a Network: How to Begin and Grow a Professional Network - If you are in college or recently graduated, you have undoubtedly been given the advice to turn to your professional network when the time comes to job hunt. 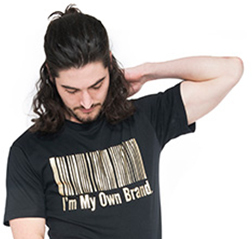 MFA Not MBA: We Hear A Lot About Personal Branding These Days - When it comes to developing your brand, the instructions are similar to those a new company might take.